The lumberyard of the Carson & Tahoe Lumber & Fluming Company, located south of Carson City. The flumes coming down from Lake Tahoe terminated here, bringing sawed logs down from the mills at Glenbrook. 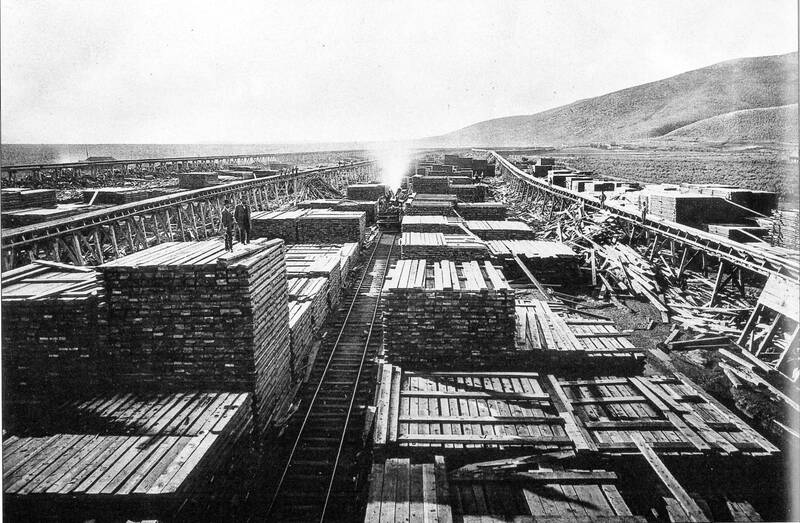 Here the wood was stacked and loaded onto the trains of the V&T Railroad. The view looks south along the lumberyard.